Shri Dharmasthala Manjunatheshwara Institute for Management Development (SDMIMD), a premier Bschool located in Mysore, was established in 1993 with the objective of providing quality management education based on a firm foundation of Indian values and ethics. SDMIMD is promoted by Shri Dharmasthala Manjunatheshwara Educational Trust, a nonprofit educational trust that runs over 40 recognized educational institutions in Karnataka, including Engineering, Medical, Dental, Ayurveda and Naturopathy colleges. Under the able leadership of our Chairman, Dr.D.Veerendra Heggade, the trust has played an active role in empowering people and bettering the lives of communities in Southern Karnataka. SDMIMD is located in a picturesque campus at the foot of Chamundi Hills in the heritage city of Mysuru in Karnataka,140 kilometers from Bangalore. The campus is an amalgamation of modern infrastructure with classic architecture where the indoors and outdoors blend seamlessly. Green courtyards, tree lined avenues and the chirping of birds welcome every visitor to the verdant environs. The campus has won several architectural and landscape awards, and provides an atmosphere conducive for the germination of managerial intellect. The campus is enabled with contemporary learning and IT infrastructure. As a fully residential B-School, the campus provides a tranquil and invigorating environment for living - be it the fully furnished single occupancy hostel room, student managed mess, well equipped gym and wellness centre. 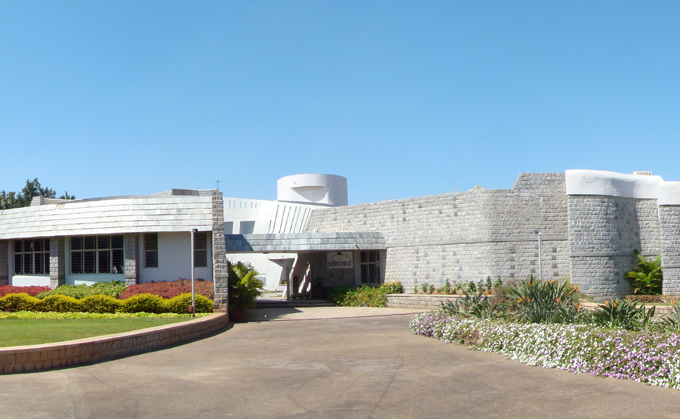 SDMIMD, Mysuru is a 24 year old Institution ranked in top 40 B-schools in the country.